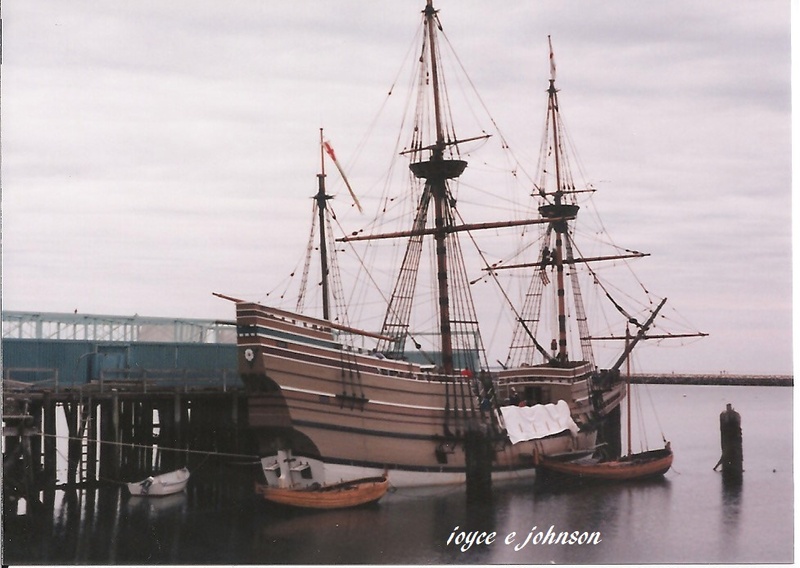 Mayflower II – Plymouth, Mass. 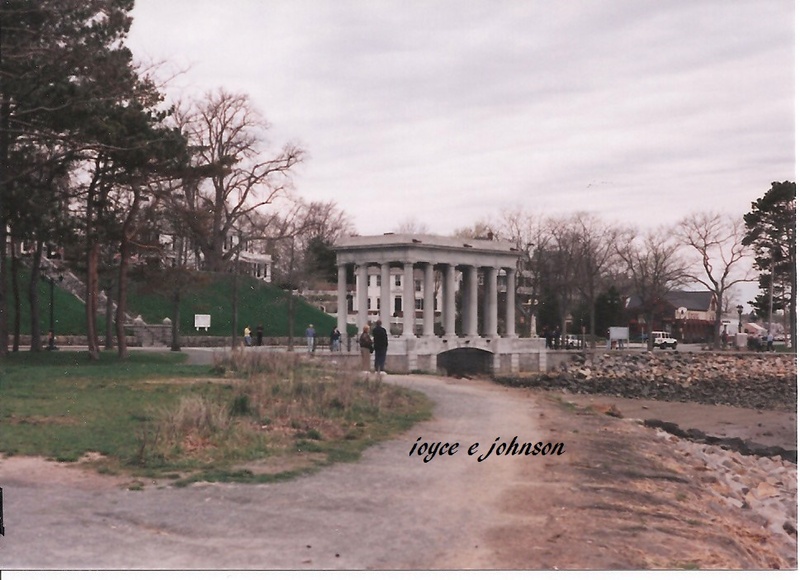 Pilgrim Memorial State Park, Plymouth, Mass. One Thanksgiving Day in 1967 my husband and I were invited to spend the holiday at the home of a Hispanic friend’s family. We were nineteen, newlyweds, and living in California while attending college and working, having moved there from the Midwest. I remember the disappointment when I saw the food placed on the table; tortillas, refried beans, and other Mexican dishes. Because they were not the ‘traditional’ Thanksgiving Day dishes like cranberry sauce, mashed potatoes, stuffing, and pumpkin pie we were used to eating every Thanksgiving I was not sure I was going to enjoy this day. We also did not speak Spanish, so could not understand everything said. We felt like ‘pilgrims’ encroaching on new territory. I brought a Pumpkin pie to share, thinking at the time, At least we will have one favorite dish. Yet, there was no culture barrier that could dampen our spirits, but instead a mutual desire to celebrate Thanksgiving Day. Their smile, graciousness and hospitality made us feel welcomed. It had me thinking about the first wave of pilgrims in a new country imagining how it was for them as they perhaps sat down at a rustic table in the woods of Massachusetts to share a meal with a group of natives so foreign to them; American Indians. Settlers from far away England and American Indians coming together, each bringing their native foods, sharing their harvested crops, celebrating as one. A new country was born, two groups united for that one day, supping together and giving thanks to God for their many blessings. While vacationing on the east coast in 1998 we visited the famous Plymouth Rock landmark and the Mayflower II (an exact replica of the original ship the first settlers took on their journey to America) at Plymouth, MA. As we took a self-guided tour of the Mayflower, I was in awe of the sacrifices, ingenuity, and creativity the new Americans had, and the hardships they endured, how they could make their home inviting and hospitable. The newcomers from England had lost so many settlers to death, disease and hunger. Yet, maybe there was expectation, excitement and celebration in the autumn air for the first of such feasts, gathering, coming together. Neither group could understand the language or culture of the other. The Indians could not have known what it was like for those new settlers to survive the storms at sea, suffer through disease and hunger on their crossing. Neither could the new Americans understand the difficulties and challenges the Indians faced living in a wild, untamed land. Yet, each shared their food and bounty to celebrate perseverance under the cloak of life’s burdens; American Indians, an existing group came, by right to belong, and the other, foreigners wanting to belong, determined to stay and build a new life. On that day as my husband and I celebrated that Thanksgiving away from home, I realized how much we did have in common with the Hispanic family, and we began to relax and enjoy ourselves with them, and their own “traditional” holiday fare. The aroma of those homemade tortillas and Mexican dishes was tantalizing. It compelled my senses to welcome the experience. They were not there to act as substitutes for our immediate families, but instead to be an extension to the family we already had of friends made while living in California. They shared the heritage of a people whose ancestors were original settlers of this state with its rich history. They were our hosts. We were their guests; but on that day we came together as friends, and we went away full, blessed and thankful. Those four years we lived away from’ home’ taught us how to appreciate other cultures, and ethnic people of other nations. There were many other ethnic groups and people from other countries we came to know while living there. Our eyes opened to the ways that are different, but no less important than our own, and our hearts became tender towards those whose lives touched us with a diverse style of celebrating what is special to us all; giving thanks to our forefathers for their sacrifices made to birth a rich heritage in America.